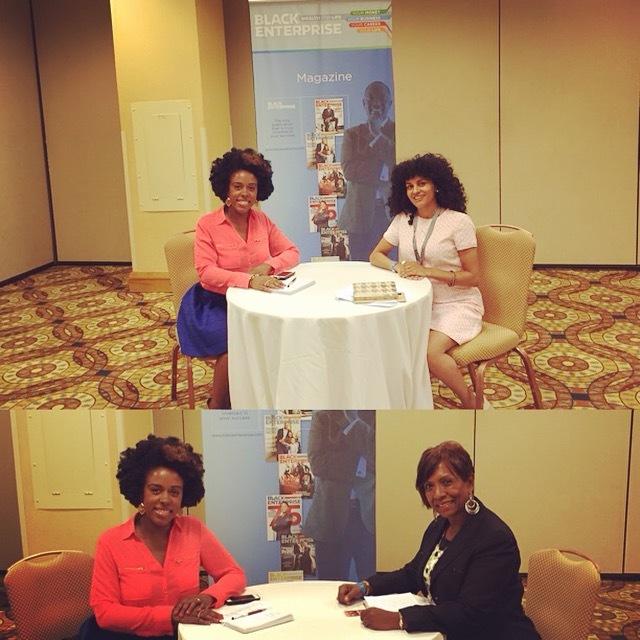 The Atlanta GA stop on the “Find Your Voice Tour” included joining the Black Enterprise Entrepreneurs Summit as a Business Mentor for the attendees and Media Coverage. 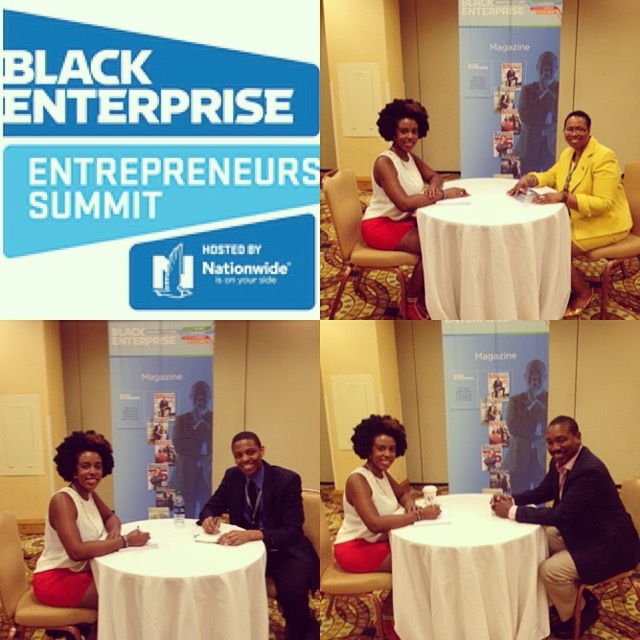 1,200 + entrepreneurs from almost every city gathered in Atlanta, GA for the 2015 Black Enterprise Entrepreneurs Summit #BESummit hosted by Nationwide. 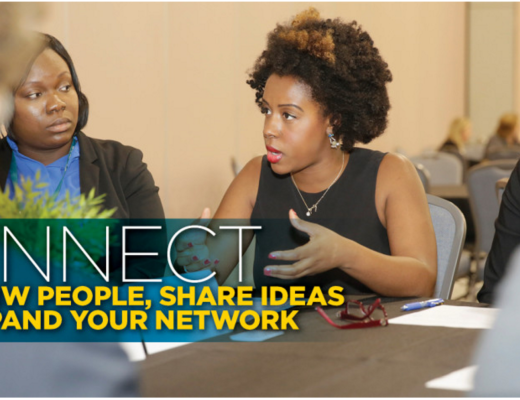 Three days (May 13-15) of life-changing connections, sessions, and events filled the Hyatt Regency Atlanta. With the Black Enterprise Mobile app, attendees were able to keep updated with the schedule, receive info from the sponsors and view all social media in one place. I had the opportunity of attending the summit with two roles: First- as a media partner connecting with my audience through my Blog, Stanard Report and my Philly-Based Radio Show, Philly Speaks. Second- as a business coach mentoring individuals trying to start or grow their businesses. A select group of finalists get 60 seconds to pitch their business to a group of judges and to go head-to-head for a chance to win $10,000 in this high-stakes competition. Now I personally love watching entrepreneurs pitch their companies, the presentations are exciting to me because I get to see how many great ideas are being created in different cities. Being a serial entrepreneur and a soon-to-be investor, I get just as excited as the company when they love their industry. One-to-one, your coach will provide you with insights, strategies, and tips. Loved this digital section during the summit, AT&T offered a fun and interactive way for us connect our devices and connect with attendees. Accelerators are helping entrepreneurs put pedal to the metal, aiding startups with funding, venture capital pitching courses, visibility opportunities, and equity financing. I enjoyed hearing the different views from each of the speakers, especially on the topic of joining an accelerator to raise capital and find resources. I’ve applied for a couple of tech programs just to perfect my company pitch and to find the right city to explore. The process is intense and sometimes you do not get much feedback from the program managers on why you do not get it. But the process is needed for any company to explain on continuous basis the reasons they know their company will be successful. Talent plus drive; creativity matched by confidence. In 2014 small businesses put it all on the line. The best and brightest came up winners, and BE honors their achievements. Join us as we honor the best in small business. I never knew Jermaine Dupri’s backstory and how he started when he was 12 yrs and couldn’t finish high school because his school in ATL wouldn’t take his schoolwork from on the road. You grow up watching a lot of your favorite entertainers but do not take the time to know their background unless they tell us during an interview. I also did not know how involved Dupri was in technology, now a lot of people love technology especially if you have a smartphone. But most people do not take the time to learn about the business side of tech and start a company or invest in one. Now I’ve always admired Harvey’s hustle and family life but never knew his background about being homeless for years and failed marriages. During his talk, Steve got slightly emotional about his struggles and his AHA moment when he realized his true calling. Day 2 of my business coaching sessions and I had the privilege of meeting more inspiring entrepreneurs. One entrepreneur started a media company to feature new artists during a monthly showcase; the second entrepreneur started a fashion company with his wife to help women with selecting various fashions. Overall, these entrepreneurs will be successful not only because they have great ideas, they had the courage to ask for help in the beginner stages of growing their companies. Loved this digital section during the summit, AT&T offered a fun and interactive way for us connect our devices and connect with attendees. I had the best conversations while trying to charge my phone. Reality TV is a guilty pleasure, for sure. But it’s also big business, and these savvy entrepreneurs not only recognized that potential, they capitalized on it in ways that go far beyond their 15 minutes of fame. Reality TV is new way of “becoming famous” just like sources such as youtube. Now depending on what type of reality show you are casted for you can gain great exposure from yourself, company or brand. Understanding entertainment and how most people associate good tv with drama and fighting you have to be careful with how real you would like your reality to be. If done correctly the brand you build while being on TV can take you to new levels if you have the team to get you there. Corporate America spends more than $100 billion on goods and services provided by small suppliers—and big buyers have even more cash burning holes in their pockets, looking for new links in their expanding supply chains. Opportunity abounds, but beware: Navigating that supply chain can be challenging … and costly! I’ve owned my marketing company, Prestige Concepts for 7 years and working with large corporation definitely started out as very difficult. Companies have to build a strong relationship with different departments and personnel to get on the radar when RFP’s are posted. Even if the company has all the requirements to receive the contract the process still can take almost 6 months to a year to finalize. Staying focus and creating a list of people and corporations you would like to work with makes the process a little easier. Now I didn’t know much about Chin prior to the luncheon (I need to make it a point to know every single billionaire in the world, you know just in case LOL), I really enjoyed hearing about his story and upbringings in Jamaica. When I think of Jamaica I always reflect on great beaches, tropical drinks, heavy accents, and the “How Stella Got Her Groove Back” movie. Never crossed my mind to invest in Jamaica by growing or starting a business with local residents. The difference between billionaires and non-billionaires not only do they invest in their cities but they invest in places people forget about and saturate the market. Michael Lee Chin, “Role models are important because they inspire confidence & enthusiasm in a generation”. Our stay in Atlanta culminates with the gala event of the year! Come join in as we celebrate the year’s most compelling and inspiring business success stories in spectacular fashion. 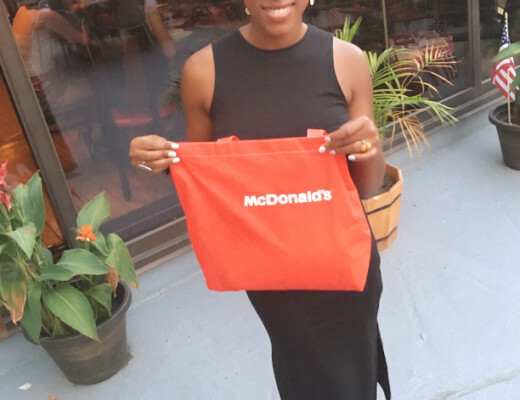 I’ve partnered with McDonald’s for a Cool 2016 Olympics Giveaway!! Announcement: New Partnership with Girls Who Code!